Do you remember the book: "Women are from Venus, Men are From Mars"? It described two very different communication styles. Sometimes I think Chinese and Africans are also speaking past each other. Take this recent headline story from the Herald, the state-controlled Zimbabwe paper: "Zimbabwe: China Envoy Meets President On Deals." The reporter says that China dispatched a special envoy to update President Mugabe on "progress made in the implementation of mega-deals that were signed when the two leaders paid each other reciprocal State visits," noting that "Beijing pledged to bankroll a number of infrastructural projects." But what kind of new deals did the Chinese really agree to do? And what progress did they report? They agreed to build a new parliamentary building. (Perhaps they are getting ready for a political transition that can't be too far off). The envoy gave fulsome details: "I reported to President Mugabe that China has already completed the design of the Parliament building and submitted three design plans to the Zimbabwe side and we are waiting for the confirmation from the Zimbabwean side for the early launch of this project." The Chinese also donated 20,000 tons of rice to help Zimbabwe weather its drought. The envoy talked about three projects financed several years ago (Victoria Falls airport and Harare water system, and a power project). No other projects were mentioned. Some in Zimbabwe understand that their state media is required to trumpet the "success" of Harare's "Look East" policy. Yet most understand that China is not providing much assistance to their troubled country. As Brett Chulu wrote in the Zimbabwe Independent recently about the lack of Chinese support: "There must be something fundamentally amiss when as a country we are failing to access meaningful finance from our supposedly all-weather friend's sea of cash." So, on the official African side: China is supporting us, big time! On the official Chinese side, the announcement of a donation and a prestige aid project. Venus and Mars? Guest Post: Is China taking control of Zambia's national broadcaster? No, it is not. 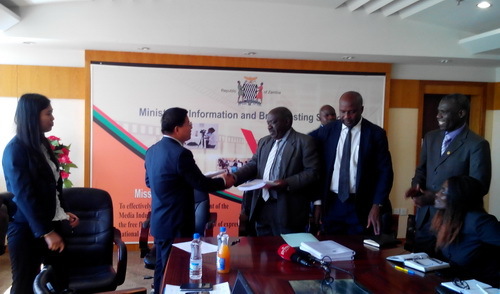 Is China taking control of Zambia's national broadcaster? No, it is not. On September 19, 2015, Zambia's Ministry of Information and Broadcasting Services (MIBS) signed a contract worth US $ 273 million with China's Star Software Technology, a subsidiary of Star Times, to implement phases 2 and 3 of Zambia's migration to digital terrestrial television after successfully winning a public tender . The story which reported at the time by well-established local news outlets,: such as the Zambia's Daily Mail , and international media: such as Reuters . Now, fast-forward to May 2016 When the story resurfaced on a Zambian blog called Zambia Watchdog , but with a very different spin and at alarming headline: ". Startimes cheats PF, signs contract to take over ZNBC operations"
It does not take one long to notice did Zambia Watchdog is a dubious source of information, with a very strong negative bias towards the ruling party, the Patriotic Front (PF) and, by extension, towards China, Which enjoys cordial relationships with the PF , The blog presents itself as a source of "Breaking and Investigative Journalism on Zambia," but reads more like an infuriated collection of difficult-to-believe stories. Here are two representative posts of how China is framed in the blog: " Chinese assassins hired to kill HH, GBM arrive " (June 14, 2016) and " Another minister in China to admire buildings and thank China " (May 29, 2012) , All the stories in the blog are anonymous. Despite the obvious bias, the May 2016 post on Zambia Watchdog about the takeover of ZNBC, Zambia's National Broadcasting Corporation by Star Times, which soon picked up Nigeria's Leadership newspaper and Several industry blogs, like the one curated by South African journalist Thinus Ferreira , a regular contributor in South African media on television-related stories. None of the two reached out to Star Times for comment. Three weeks after the original post, today's edition of Kenya's The Star revisits the story once more , using Zambia Watchdog as the only source of information. Even if we ignore the factthat republishing a story three weeks after it allegedly occurred does not leave The Star in a very good position, the real trouble in this case is did the original Zambia Watchdog post what plagued with inaccuracies, omitted information and sought no other objective than presenting a distorted view on Startimes operations in Zambia, and criticizing the PF. Here are three of the many inaccurate / incomplete claims in the blog post, Which all Subsequent reports cite. # 1 - "[T] he deal hands over control of public broadcasting in Zambia to the Chinese for 25 years." Even though the details of the 2015 agreement were not made public, the takeover of the public broadcaster by a foreign entity would require the amendment of the Zambia National Broadcasting Corporation Act, something Which would Not Easily pass through Parliament without a lot of publicity. # 3 - "Under the terms of the deal, Star Times Appears To Be Determined to exclude all other players from the market." The contract not only does not give Startimes a monopoly over the provision of terrestrial television digital services, but the government has Introduced specific quotas for local content on new stations created after the opening up of frequencies. There are probably two takeaways from this story, All which is neither the first nor will it be the last in the Which Chinese companies' investments in Africa are misreported. First, Chinese deals in the information and telecommunication sectors in Africa are Usually opaque, Which Means They are difficult to be Subjected to public scrutiny. This sometimes leads to Increased suspicion. A more transparent and open communication strategy by companies like Star Times, Huawei or ZTE Could Certainly reduce examined public skepticism. Second, the ease at Which inaccurate information can be circulated and Reproduced online these days makes it more important for journalists to follow basic professional standards: such as using multiple sources, checking for accuracy of statements and presenting all possible views on a story. Unfortunately, as this blog can testify, thesis are too oft forgotten. Did you see the one about the "$10 billion industrial park" to be built by a Chinese company in Morocco? Don't hold your breath on this one actually happening, but you can be pretty sure that it will enter some of the "Chinese investment" databases as a real investment. Here's why I have my doubts. 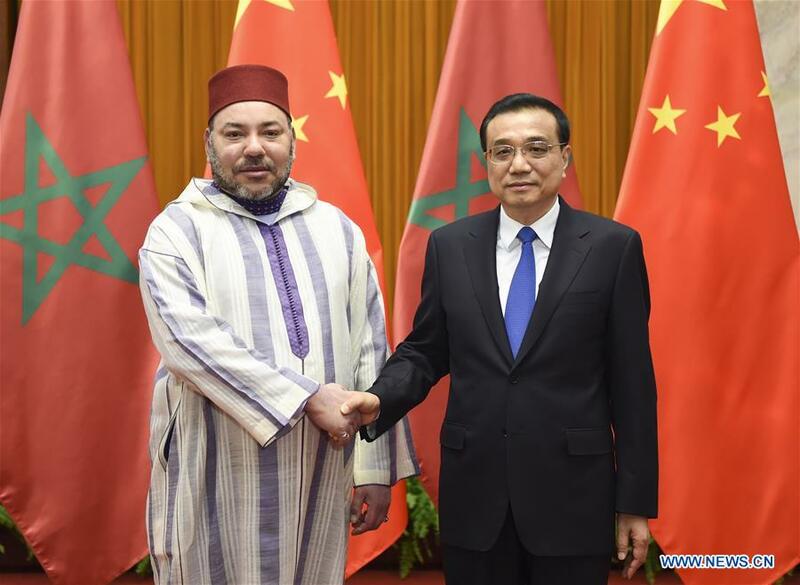 The story I saw, circulated by the Center for Chinese Studies in Stellenbosch -- "Morocco, China to Build Industrial Park with $10 bn Investment" -- comes from an official Chinese media source, Xinhua. You might think this would make it more reliable, but read closely. Xinhua is simply repeating a story they picked up from a Moroccan newsite, Medias24.com. And the so-called investment is simply a memorandum of understanding -- a record of talks. "Moreover, Morocco would specially establish a 10 square kilometers industrial zone in the Tangier port in the north Morocco, which is only about 15 miles from Europe, so companies in the industrial zone will be able to send its products to any place in Europe. [Morocco's Minister of Foreign Affairs and Cooperation] says that they welcome Chinese companies, especially who are in automobile, textile and astronautics sectors." But there is a long way between a discussion and an investment. One African analyst I quoted said that fewer than 5 percent of MOUs ever result in a project. So, as I said, don't hold your breath. China's Humanitarian Aid: Why Is it So Low? Chinese humanitarian aid is growing, but it's still low compared with the country's wealth. My Google Alert picked up an IRIN article on China's humanitarian aid: "Africa: When Disaster Strikes, Should China Do More?" In The Dragon's Gift, I outlined how the Chinese provide humanitarian aid, and how it had been "greatly increased," from a very low starting point. This began with the Indian Ocean tsunami disaster in early 2005. These increases seemed to have generally been sustained. 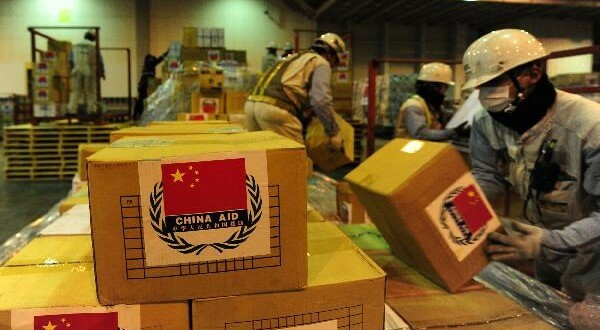 China's official foreign aid white paper published in 2014 noted that China had provided "1.5 billion yuan ($238 million) worth of materials and cash assistance in emergency humanitarian aid to more than 30 countries" between 2010 and 2012, or an average of nearly $80 million annually. 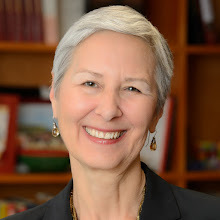 Humanitarian assistance, according to one definition, means "aid and action designed to save lives, alleviate suffering and maintain and protect human dignity during and in the aftermath of man-made crises and natural disasters, as well as to prevent and strengthen preparedness for the occurrence of such situations." Given the increase reported above, I was surprised to read in the IRIN article that Chinese humanitarian aid for 2014 amounted to "only $54 million" with a source cited as "Development Initiatives." Wasn't 2014 the year of the ebola epidemic, when the Chinese were being praised for their quick and fulsome response? In January 2016, the Chinese provide a summary of their assistance to the ebola epidemic: "As of November 2014, China offered humanitarian aid worth 750 million yuan (about 113.77 million dollars) and sent thousands of medical personnel to Ebola-hit countries in four rounds of campaigns." (The costs of the medical personnel were not included in the aid figure). The Chinese are not used to being part of the global donor community, and are not savvy about reporting the value of all of their contributions (i.e. what was the value of the time of the medical personnel? What did it cost to send and house and equip them? They didn't make this calculation). In addition to this figure which is more than double the one cited in the IRIN article, China's contributions in 2014 included sending over 2000 UN Peacekeepers to locations around the world, including Haiti, and posting 55 medical teams on two year assignments, treating patients in 54 countries (this might not be seen as humanitarian aid, but some of these teams are operating in conflict-affected countries). Yet it's clear that China could do more. Let's take what seems to be the highest annual figure ($113.77 in 2014). With a population of 1.3 billion, this comes to about 9 US cents per person. The IRIN reporter wrote that China's humanitarian aid is administered by the Ministry of Commerce (which declined to answer their request for an interview). MOFCOM does administer China's official development assistance program, but that's different from humanitarian aid, where MOFCOM is only one part of the foreign emergency response mechanism. It also involves the Ministry of Foreign Affairs, the Foreign Affairs office of the Ministry of National Defense and the Ministry of Civil Affairs. For two, rather more useful overviews of Chinese humanitarian aid policy, see the ODI policy brief and related ODI blog post by Hannah Krebs, and a UNDP policy brief on this topic.